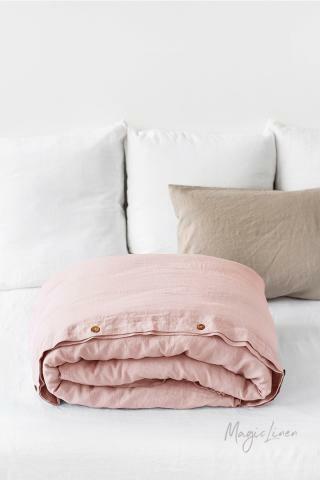 Dress your bed in light pink with our linen sheet set. Comes with a fitted sheet, a flat sheet, and two pillowcases of your choosing. Stone washed for maximum softness and durability, these sheets will give you the night’s rest you’ve been dreaming of.